#273 – A Space Shuttle at Manchester Airport? 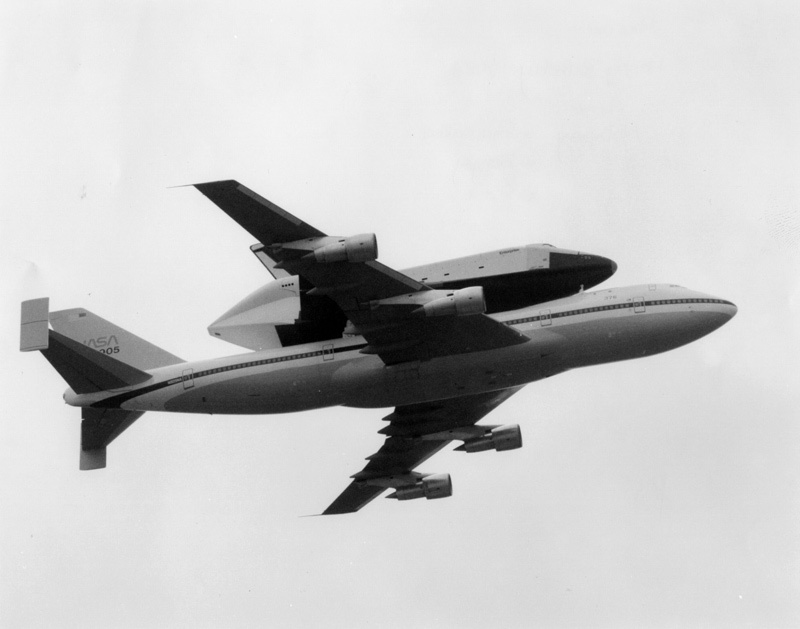 Last week saw the delivery of the ‘youngest’ space shuttle Endeavour on it’s 747 transporter to Los Angeles, and the news stories reminded me of when the ‘Enterprise’ came to Britain back in 1983. If memory serves me correctly, it was on it’s way to the Paris Airshow, and according to the internets, actually landed at Stansted. Unfortunately, it didn’t land at Manchester, it just did a flypast. This photograph was taken by my neighbour Neil. He was a civil engineer working on the runway extension at Manchester Airport, and he was senior enough to be able to get me and his son Anthony on site to get a real good view of it. I’ll be honest and say that I don’t have much memory of it really, as I was only 9, but I got this picture as a birthday present from Neil and Anthony, and I’ve kept it safe ever since as a memory of a once in a lifetime thing.! It’s definitely history now – and how to have such a personal memory from a neighbour. Indeed a once in a lifetime event. Thanks Otto, yes I’m glad to have seen it! I’d have loved to see a shuttle launch, as growing up as a kind in the 80’s, the shuttle was the most amazing piece of technology going, but it was never to be sadly.